Curveball Confusion: What Age? How? Are there really 100 different ways to throw a curveball? When I grew up there certainly were; at least it seemed that way. Today is no different; there may be even more magical ways to throw one! The fact is 99 of the other ways I heard about how to throw a curveball were flat out wrong and could be damaging to anyone throwing it regardless of age or experience. While in my little league years there also seemed to be so much confusion as to when a pitcher could begin throwing a curve. I can tell you some kids I hung out with had full grown beards when they were 13 and some of my friends still can’t grow much facial hair. So what’s the answer to the age ole’ question and how do you really throw a nasty curveball? My students have to be able to demonstrate great pitching mechanics, understand what and why they are throwing the way they do and have outstanding command of their fastball and change. Once they have that ability I’ll show them how to throw it! I don’t care how old they are. You could be like me and not learn a curve until I was 16 because I was deathly afraid of ruining my arm. Even the greatest of pitching coaches in the world were informing me and my friends that it was a “dangerous pitch.” But then I would face pitchers that actually had a curveball that was deemed worthy and I couldn’t hit it for the life of me. I finally begged coaches to teach me but that is when I really got confused. Coaches that could throw great curveballs but didn’t know how to teach me or they couldn’t throw one at all and seemed to have all of the answers. they told me everything all right. All the wrong garbage! Anyone finding out that’s still the case? So how do you throw a curveball? A few years ago I put together this article and curveball video that clearly demonstrates how to throw it correctly. The curveball hasn’t changed since I filmed this video, although my wardrobe has. To clear the confusion about how to throw additional pitches like a circle change, slider, splitter, cutter and a more in depth look at a curveball; We put together our pitching grips program that demonstrates 10 different pitches and dispels the myths associated with each one. 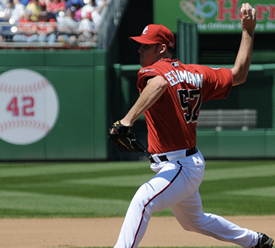 We really teach you how to throw each pitch in great detail so you can start throwing it right! In addition we also show you 4 deadly changeups! It’s the second Disc you’ll see here!